With some comments from the ECB upsetting the market in the closing hour, the VIX put in a floor.. and jumped higher, settling +5.8% @ 18.33 (intra low 16.82). Near term outlook remains somewhat uncertain, whilst market remains stuck within the sp'1980/2064 range. *closing hourly candle was a rather powerful bullish engulfing candle.. highly indicative of a floor/turn, greatly favouring the equity bears tomorrow morning. 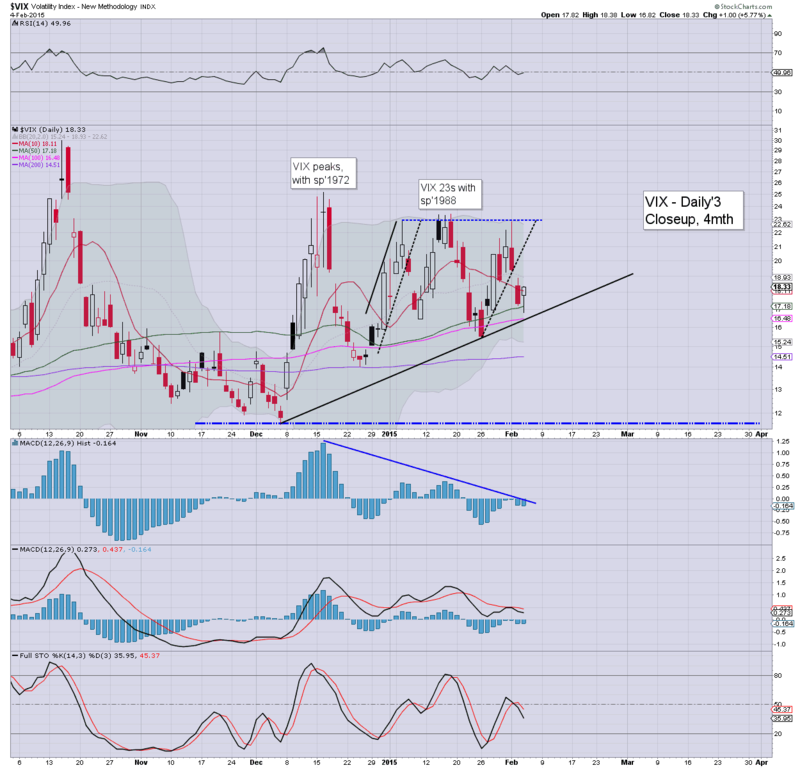 VIX remains somewhat stuck in the upper teens, and it won't take much of an equity down wave to break back into the 20s. *if market loses the Monday morning floor of sp'1980, then VIX has a 'small chance' of the 30s.. if things unravel to the sp'1920/00 zone. US equities closed somewhat weak - swinging lower on ECB comments, sp -8pts @ 2041 (intra high 2054). The two leaders - Trans/R2K, settled lower by -0.2% and -0.5% respectively. Near term outlook is offering a Thursday down wave to 2030/20s... before renewed upside on monthly jobs data. *a VERY bearish closing hour, with a classic bearish engulfing candle on the hourly cycle. It bodes strongly in favour of the equity bears tomorrow. 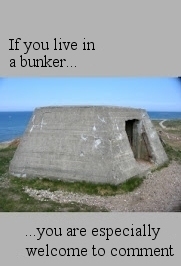 Target zone is 2025/20. So... a little drama in the closing hour. Sporadic comments from the ECB will remain a problem for the bull manaics in the weeks.. and months ahead. We all love the drama though.. especially in the last hour of the day, right? 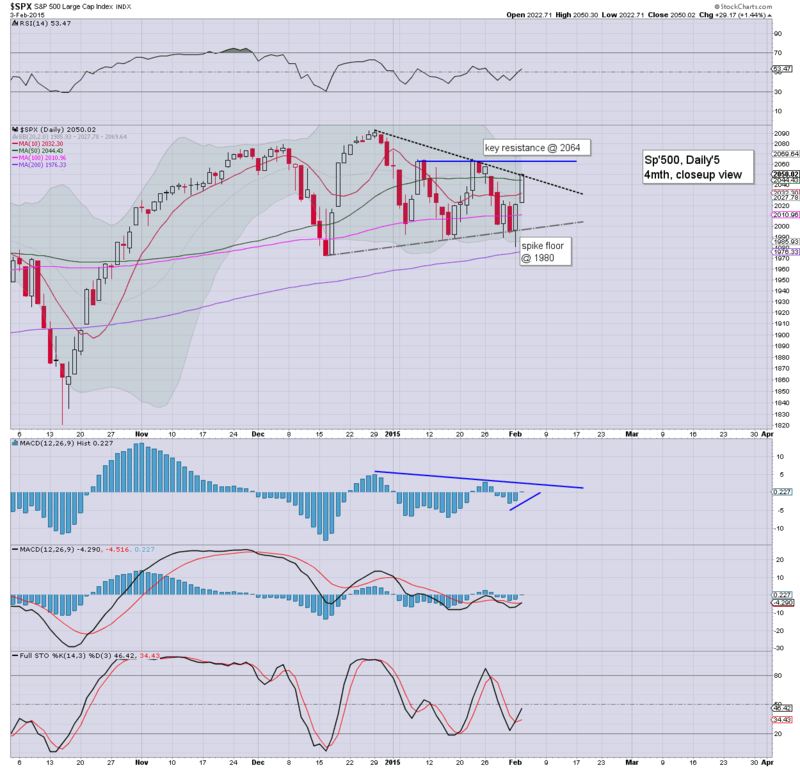 US equities look set for subdued chop, with a daily close in the sp'2045/55 zone. VIX is reflecting a somewhat calmer market.. holding the mid 17s. Gold remains holding gains of $5. Oil remains sharply lower, -6.8% in the $48s. Somewhat interesting day, mostly via activity in stocks such as DIS and FCX/TCK (the latter are weak.. as USD climbs.. pressuring commodities). 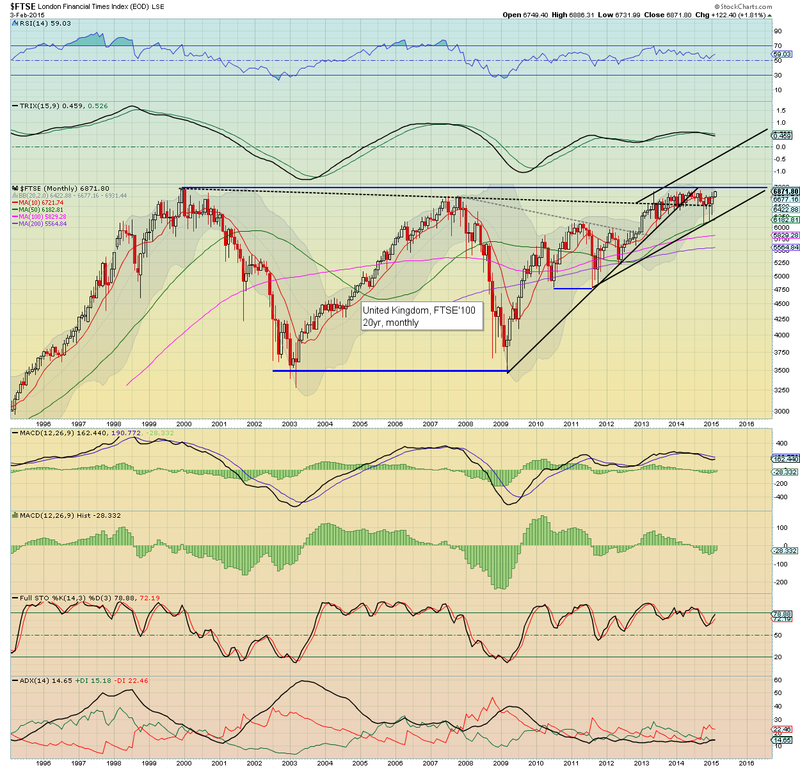 Market remains pretty much stuck between 2064.. and the recent spike floor of 1980. Until it is either side of that.. it remains... tricky. US equities remain in chop mode... after two days of very strong gains. The hourly cycle is threatening a rollover early tomorrow morning... with opportunity of a minor wave lower to around sp'2035.. perhaps 2020. Gold holding minor gains of $3. Oil remains sharply lower, -6.4% in the $49s. Suffice to note... it remains a damn tricky market. Bulls can't get hyper confident until we break/hold over sp'2064. That will be somewhat difficult, since the hourly MACD cycle is offering a bearish cross early tomorrow. At best.. maybe 2025/20 or so... but personally, I won't short it. Overly risky...and I'm tired of getting churned to pieces. 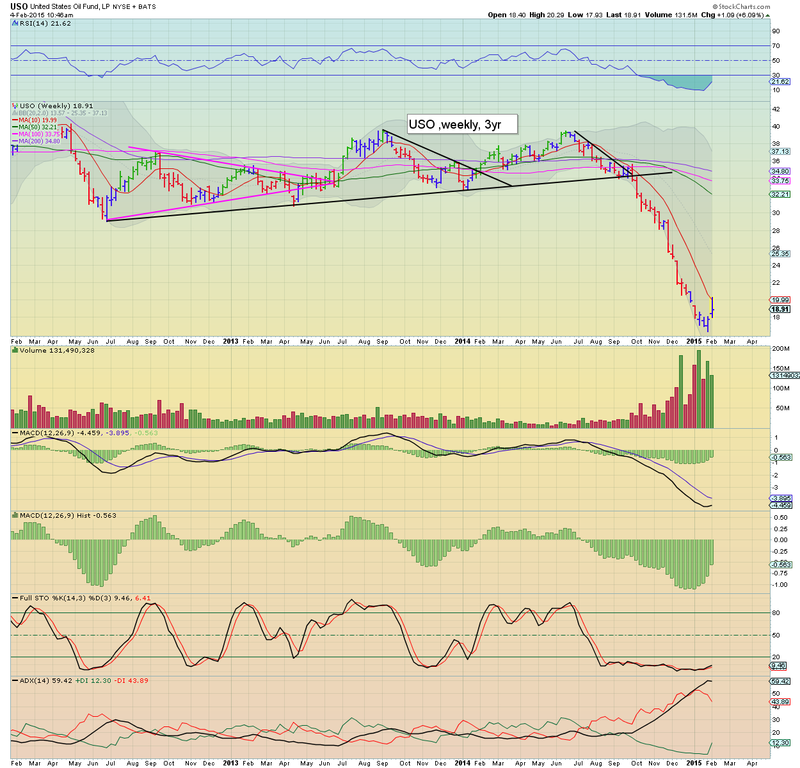 Notable strength: DIS +8.2% in the upper $101s. TWTR +1.8%.. ahead of tomorrow's earnings (due at the Thurs' close). Equities claw back higher.. with a new cycle high of sp'2051. 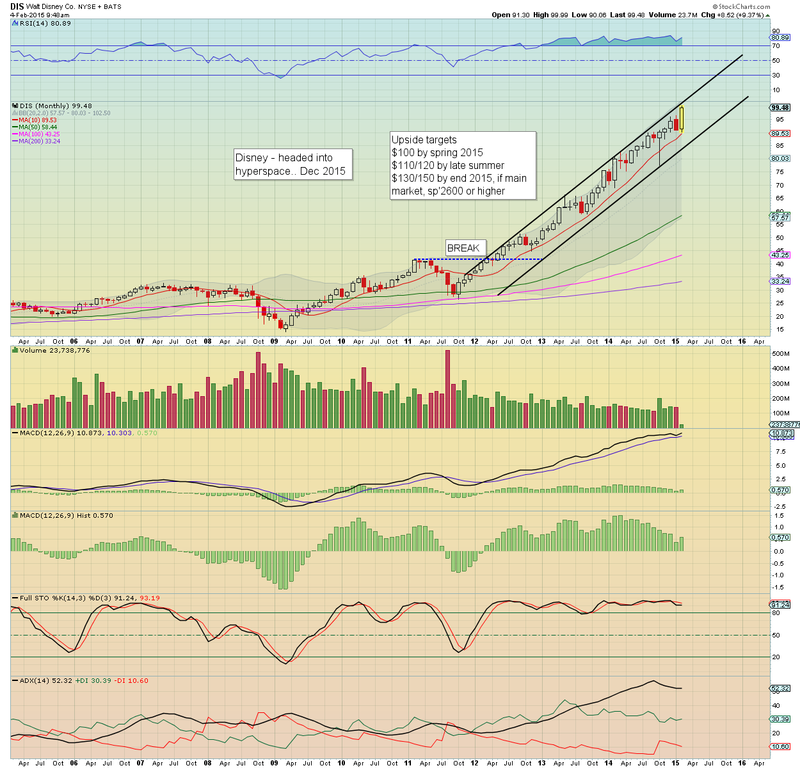 There is notable strength in the Dow, partly due to Disney in historic territory, +8% in the $101. Gold is holding minor gains of $2. Oil remains -4.0% on higher than expected inventories. It is entirely possible this nonsense just keeps on climbing into the weekend. 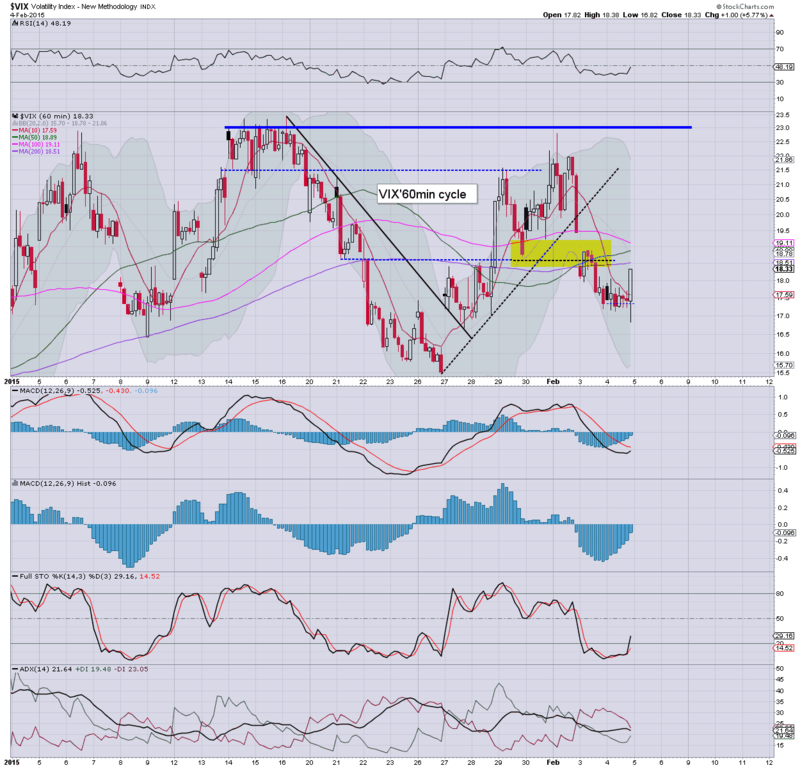 There will of course be some stiff resistance around the upper daily bollinger - currently @ sp'2071. Frankly.. this looks a bad situation for those still holding short. If the Friday jobs data comes in at least 'reasonable', market has a real chance of a weekly close in the 2070s.. which would make for one hell of a spike floor/turn weekly candle. 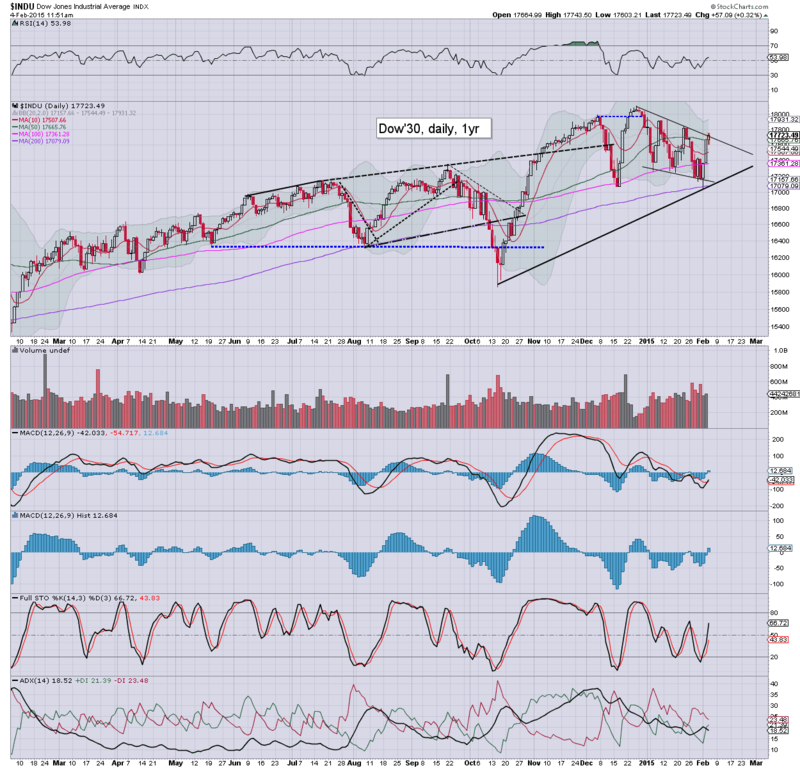 US equities have seen a minor retrace to sp'2039, which might well be as low as we go today. In any case... a day or two of minor chop/weakness is understandable after the powerful ramp from the spike floor of 1980. Oil is helping to pressure equities, sharply lower by -4.2% after an inventory build of 6.3 million barrels. Moderate weakness.... certainly nothing for the equity bears to be overly excited about. Neither do I see the break under the 50dma as important. I should note, I have LOW confidence that a key floor is currently in. If we see a closing weekly green candle.. then... maybe. Notable strength: DIS +7%, above the giant psy' level of $100. If there is one stock I can be confidently bullish about this year.. it is Disney... not least with Avengers'2 due in May.. and Star Wars'7 in December. I realise some will be tempted to launch a re-short after what has been a rather severe up wave from the Monday low of sp'1980.. but really... it seems pointless. 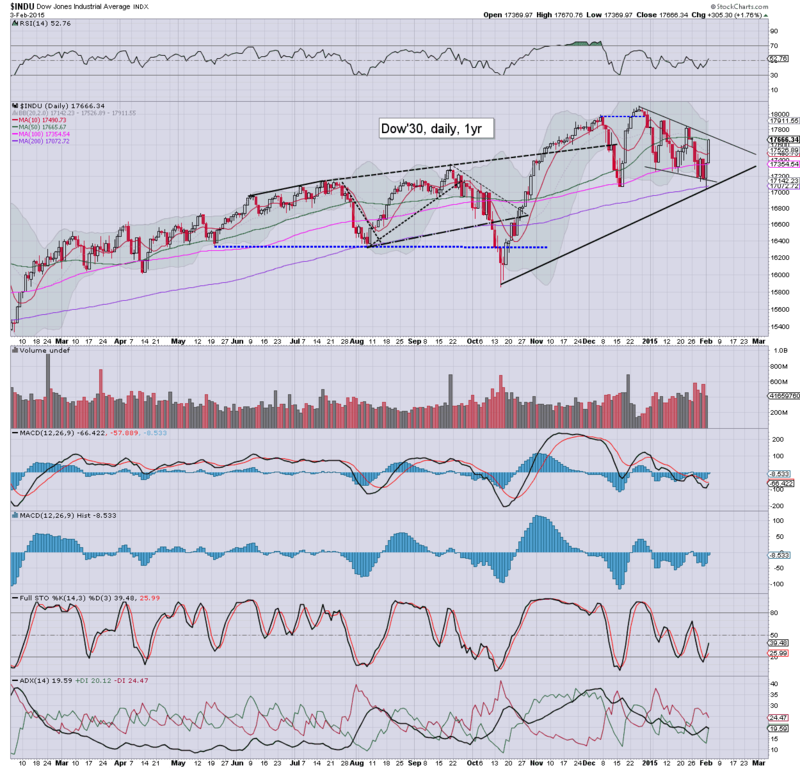 Market looks set to break 2064.. which will open up new historic highs. Good morning. Futures are moderately lower, sp -7pts, we're set to open at 2043. Metals are bouncing, Gold +$5. Oil is cooling, -1.3%. So, we're set to open a little lower, but that is understandable after a 2 day swing of a pretty incredible 70pts. There remains key resistance of sp'2064... if the bulls can break over that (not that there is a hurry)... then market looks set for new historic highs. GM, +3.5% on much stronger earnings, around 50% better than expected. Whilst the US equity market saw a second day of rather strong gains, from a purely technical perspective, it remains a mess. 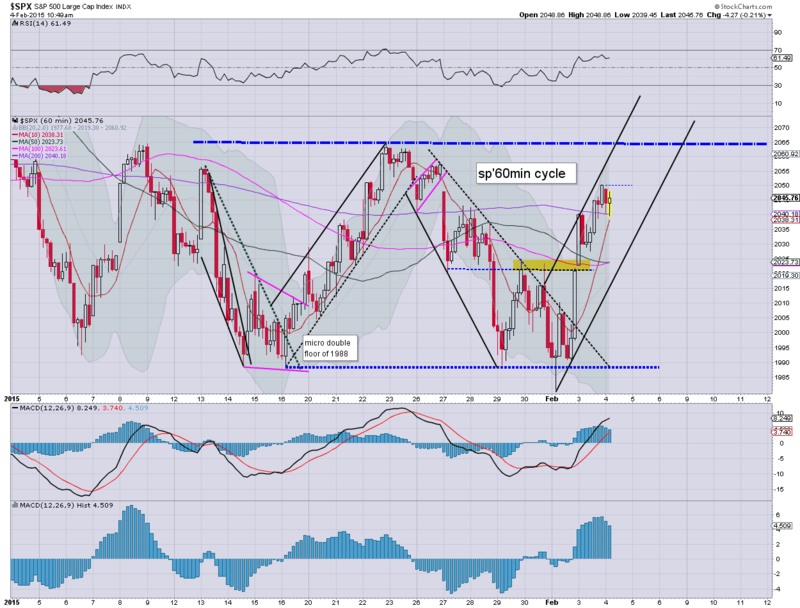 The monthly cycle is holding the bearish cross achieved last week, whilst the weekly cycles are now outright bullish. All the bulls need to do now is break above next resistance of sp'2064. A tiresome... and somewhat annoying day. 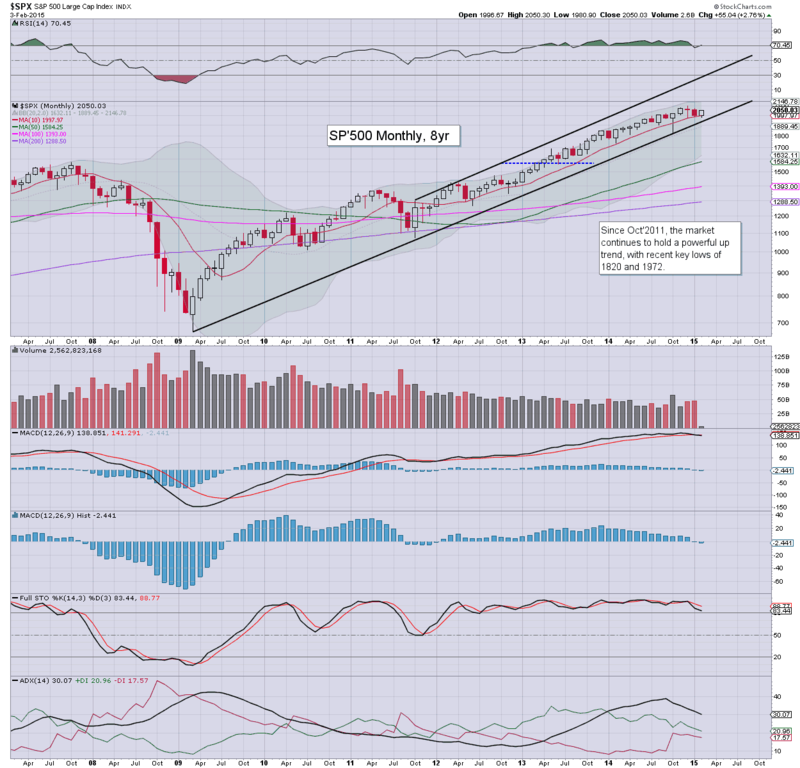 As for the equity cycles... monthly MACD bearish cross remains intact... which is somewhat impressive considering the move to sp'2050. What is clear, any break above key resistance of 2064 will likely turn even the monthly cycles back to bullish.. negating all the bearish hopes in recent weeks. The fact the weekly cycle has already turned outright bullish green should greatly concern those currently holding short. Considering the ECB QE-pomo program hasn't even begun yet... the laggy FTSE index is on the edge of what would be an extremely bullish signal.. not just for other EU markets.. but the US. 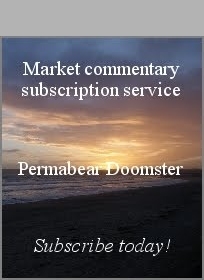 Wed' has the ADP jobs data in pre-market, PMI/ISM service sector data. *there are two fed officials on the loose... and those maniacs have arguably been impacting market mood/prices in the last few days. US equities saw a second day of gains, sp +29pts @ 2050. The two leaders - Trans/R2K, settled higher by a rather significant 1.5% and 1.8% respectively. Near term outlook remains highly uncertain, whilst market remains under key resistance of 2064. A second consecutive day of gains, and the daily close above the 50dma for the Dow and sp'500 is rather bullish..
All that is left now is the resistance at sp'2064. 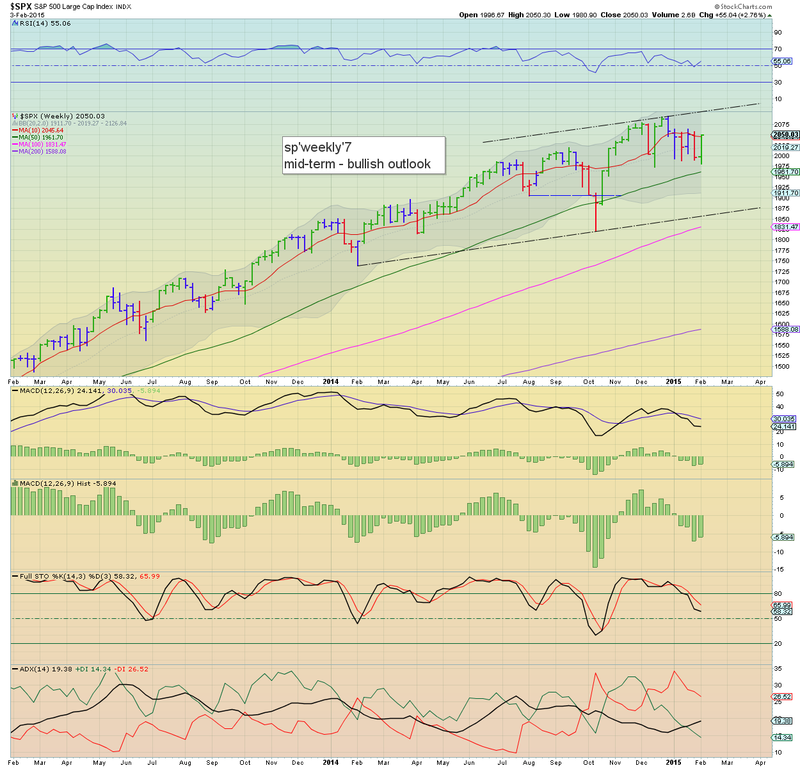 A weekly close above that.. and it will negate all the recent choppy weakness. Bears... beware.